“A man walked into a bar…” No, it is not the start of an old joke, it is part of my “traveling” while on my Azamara Club Cruise on the Azamara Quest. 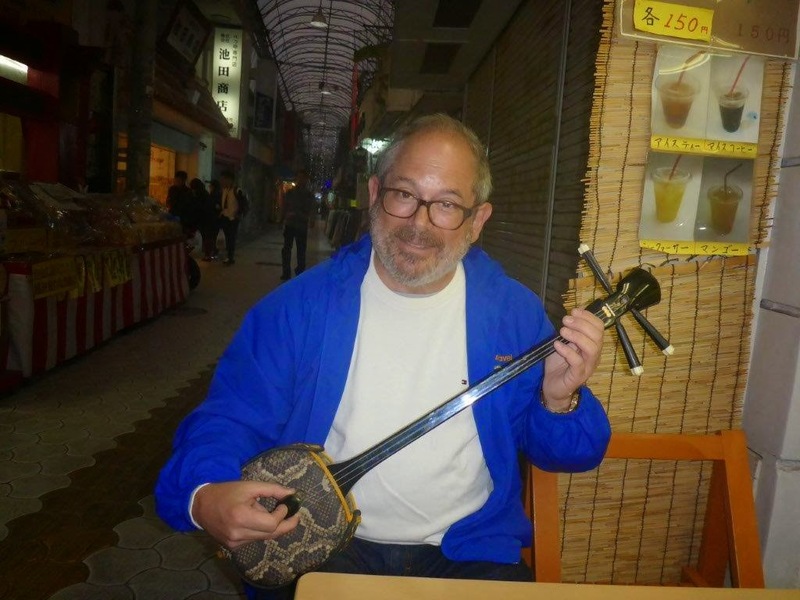 Taking things a bit out of order, yesterday I was in Okinawa, Japan; in island off the cost of the mainland. We arrived at 2:00 PM and were departing at 8:00 PM, so time was quite limited (especially since a full immigration clearance for the entire ship was required). Being in a suite I was able to jump the line and was one of the first through and onto the complimentary shuttle bus to the main shopping street. But if you turn right at the Starbucks (aren’t they just everywhere?) 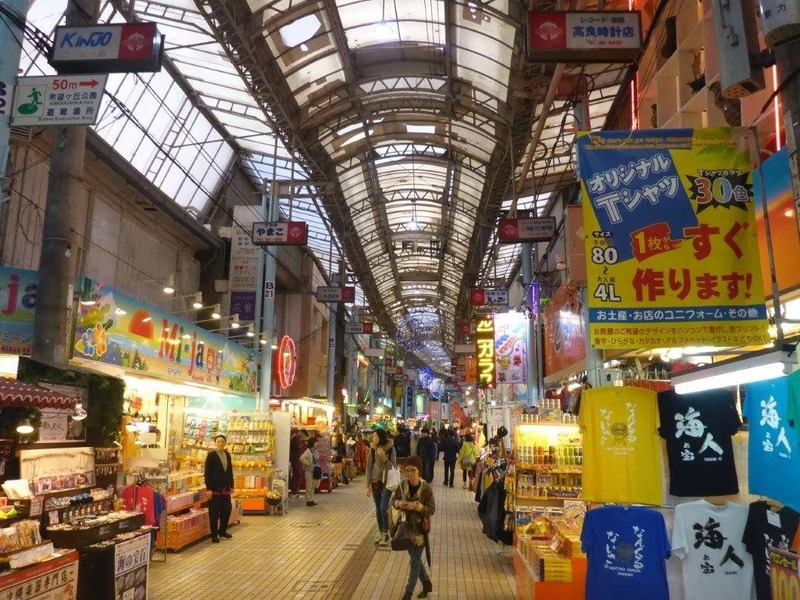 you walk into the Makishi Public Market, which is sort of like stall after stall of candy, clothes and souvenirs. 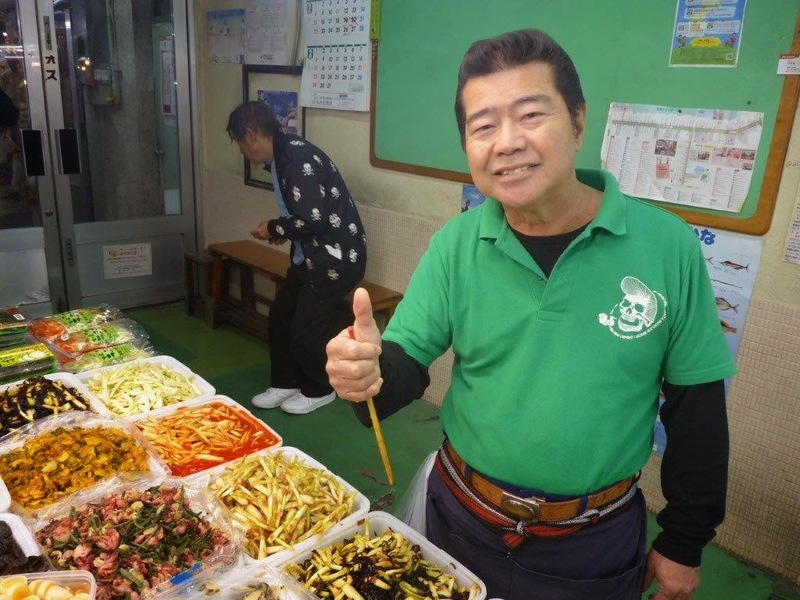 I had to walk down the side alleys and found some great stuff including a crusty Japanese man who actually had a heart of gold and fed me samples of all kinds of good stuff from baby octopus to spring onion. 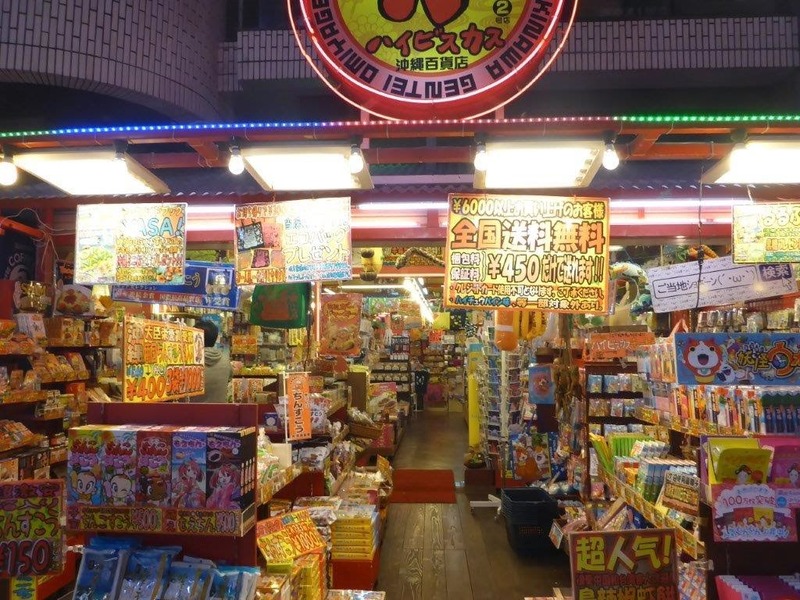 I stop by a store to by Japanese candy for my kids. I see green tea KitKat bars, which my son loves, and then I see pink KitKat bars. The clerk offered me another candy with the same flavor (which I cannot identify, but think it is sweet potato). I fill my backpack with who knows what, but I know the kids will be happy. But then the magic happened! I walked by a sort of rundown bar that, for some reason, caught my eye. The big bartender waived me in, up the tiny stairs, past what I was to learn were two sisters sitting to the left and a very drunk guy (who said he spoke English, but was so drunk nobody could understand his English or Japanese). The bartender pours me a beer and I am just trying to take this friendly chaos in. And then this beautiful, quiet, elegantly dressed young Japanese woman, whose name I later found out was Kinu, entered the bar and sat next to me (not that there were any other options in this tiny place). 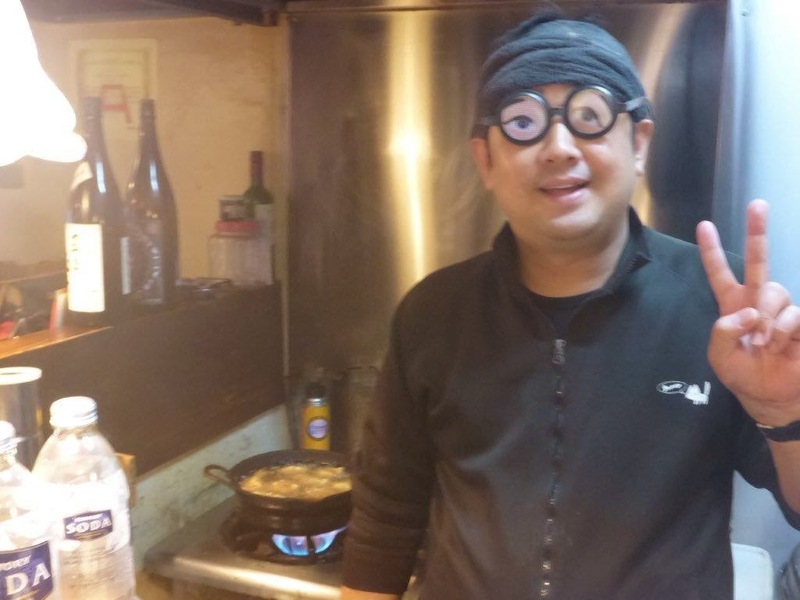 Who knew my "tough guy" bartender was also a cook and a comedian? Kinu tells me she doesn’t speak English well, but she does. We talk about travel, the drunk guy, my girlfriend and my kids. 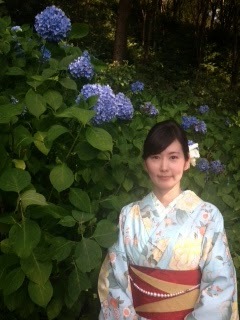 recommended I rent a kimono for the day, like she did. I think I leave that to Kinu! 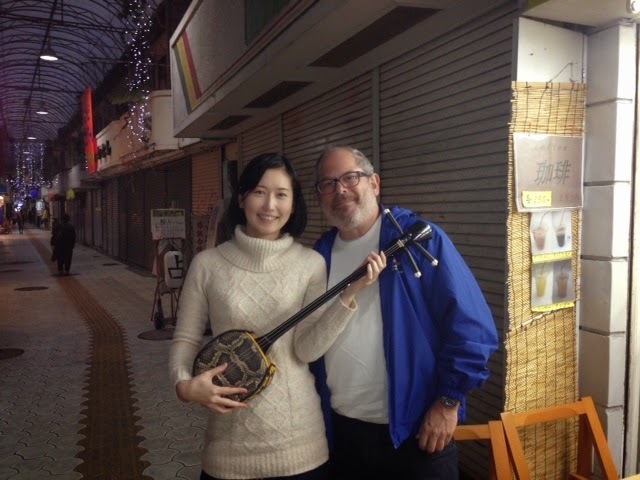 Kinu tells me she plays the shamisen (an ancient 3 string Japanese guitar) and was about to go to her lesson. 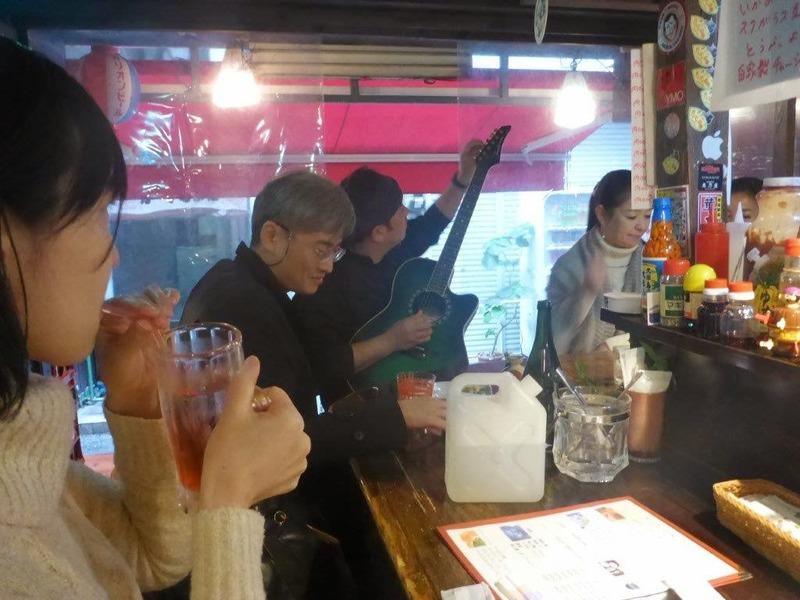 And then the bartender comes out from behind the bar and sort of/kind of tuned a guitar and started playing and singing…interrupted by the drunk who literally fell off his bar stool to the laughter of everyone, except the bartender who quickly surveyed all the sake bottles to be sure none were broken. Kinu asked me if I would like to go with her while she plays the shamisen. Absolutely! 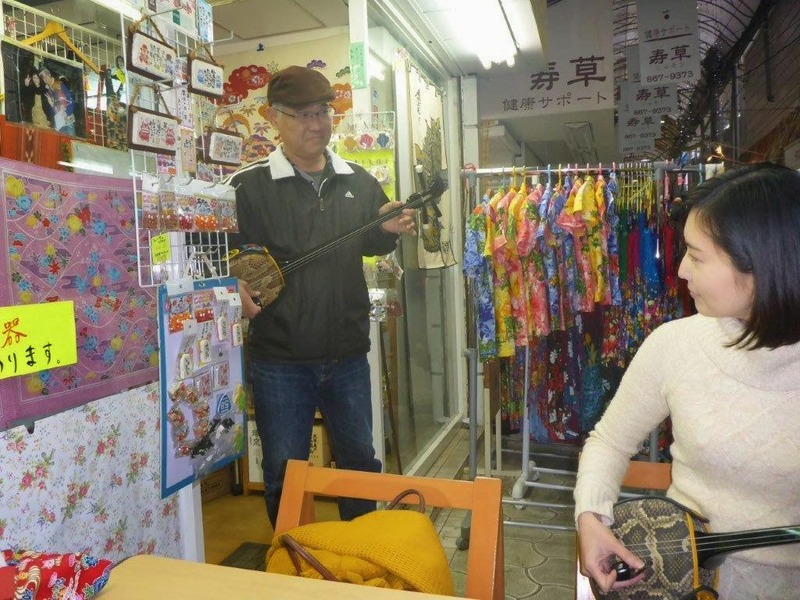 So we wander through various alleys and halls and wind up at a tiny shop with a really nice man. 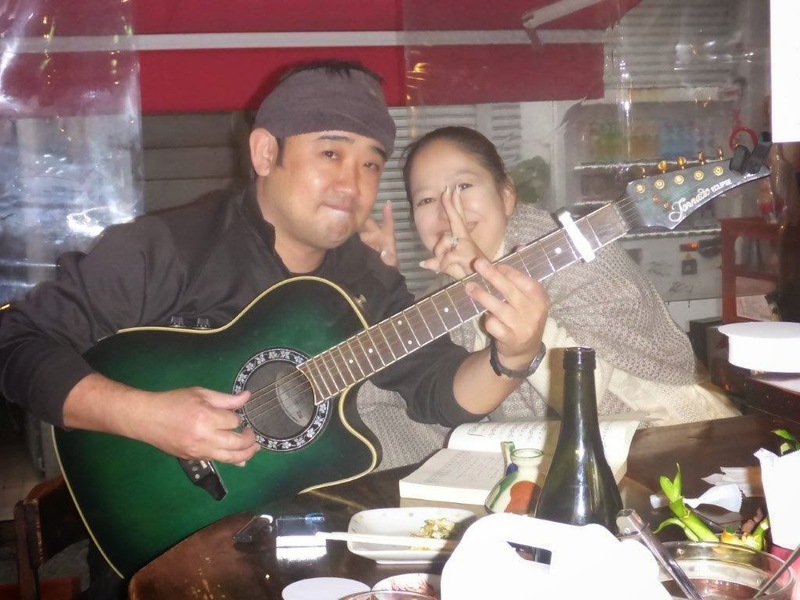 We sit outside at a table and the man starts to play (he is really good), then Kinu played and sang with her sweet voice. And then they tried to teach me! But the kindness of the islands of Asia was not limited to Okinawa. The day before Azamara Club Cruises’ Azamara Quest arrived in Hualien, Taiwan for a somewhat short day (arriving at 7:00 a.m. and departing at 2:00 p.m.). 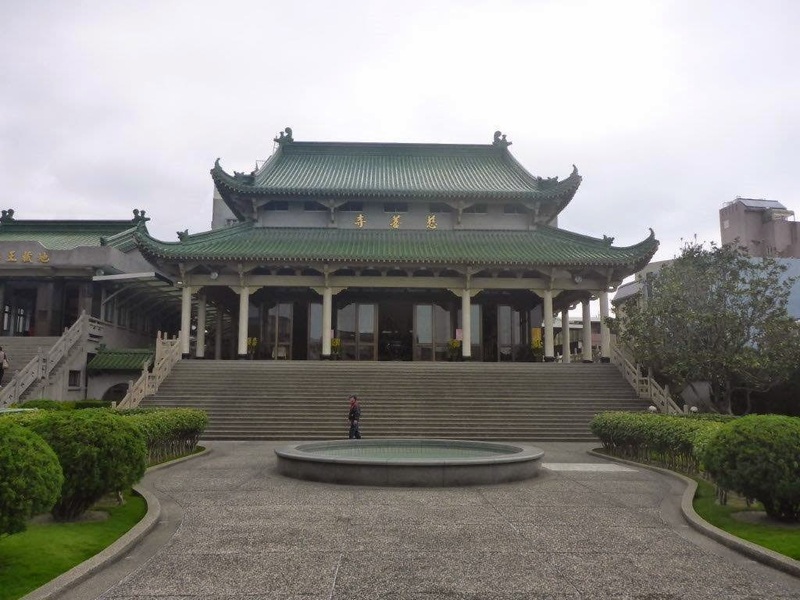 I have to admit I was pretty excited to be in Taiwan at least for a little while because it gave me the opportunity to, for the first time, experience just a bit of a Chinese culture of some sort outside of the dozen or so Chinatowns I have seen from New York to Brisbane, from San Francisco to (just the other day) Manila. 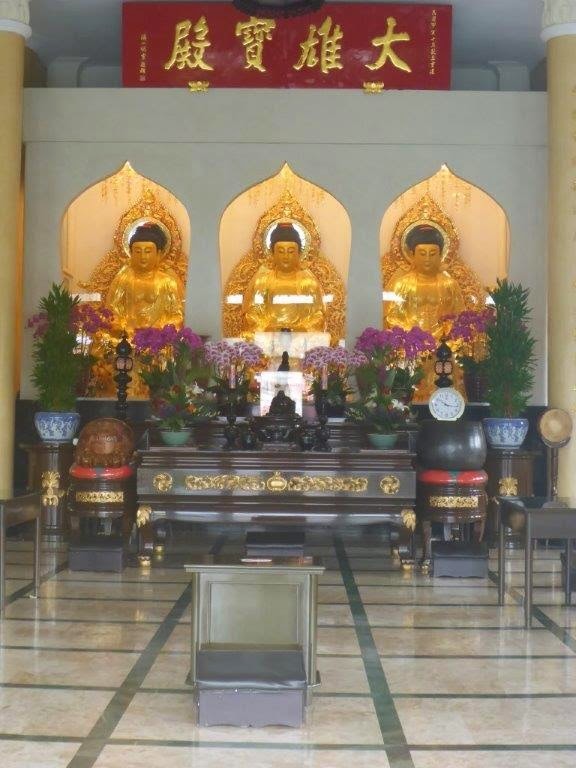 The big tour offered was to Taroko Gorge with another one going to a couple of temples. As you know I am not really a tour person and, until now, our ports really were “do the tour or don’t do much” ports. 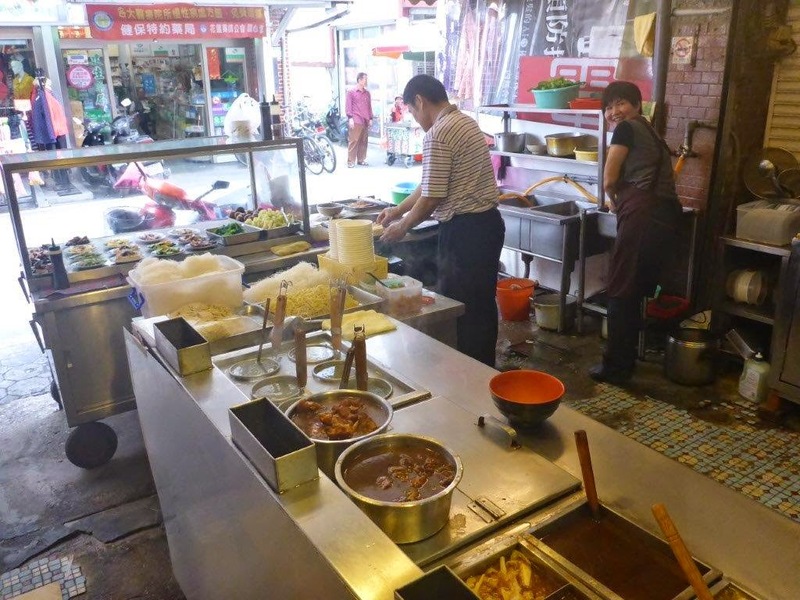 So I have been really wanting to just wander out, meet some local people and eat some local food. 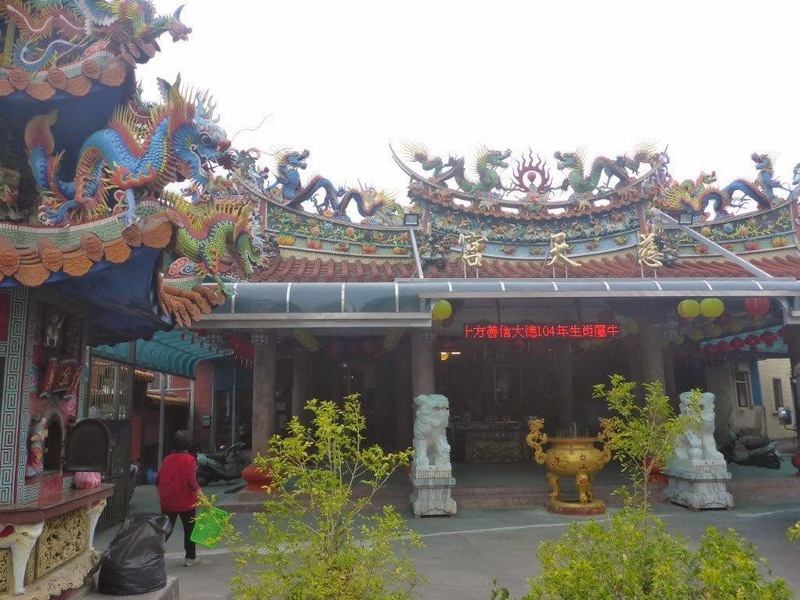 I took the complimentary shuttle bus at 8:50 a.m. into Hualien (only 10 minutes), but the shops do not really open until 10-11:00 a.m., so I had plenty of time to just wander the town which, since it was Saturday, was very quiet. As I wandered up to a park I spotted a tiny shop where two old women were making some sort of soup and business was pretty brisk for 9:00 a.m. I gave it a miss and continued on my way, wandering about the closed shops…and then back to this little soup place. They make one thing...and they make it really good! 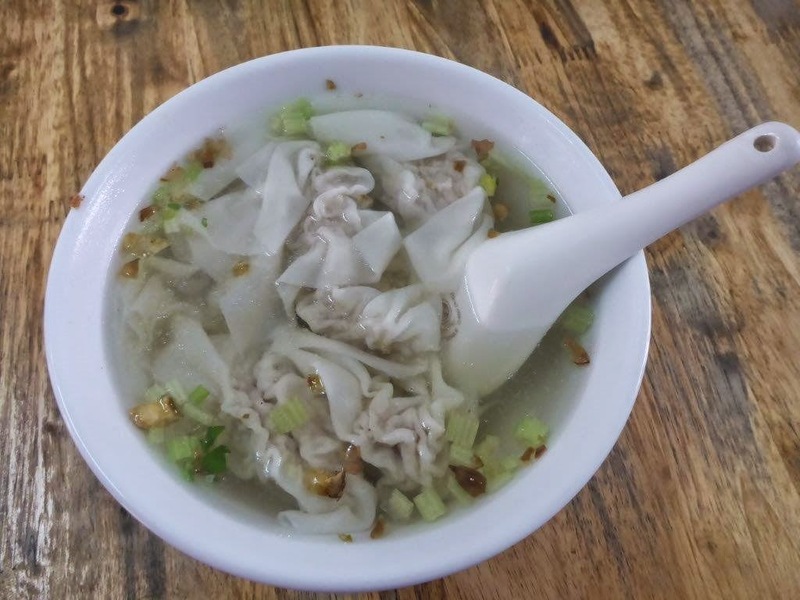 Not speaking any Chinese and them not speaking any English, a man shows me something sort of like a wanton, but much lighter and longer. I nod my head and he directs me to the back of the shop to sit. My soup arrives and I ponder which of the condiments are best added. As I do this a family of four sits down and I say hello and ask if any of them speak Chinese…and another bit of luck: The 14 year old girl does. As we eat our soup we show each other pictures, talk about New York City, and then I finally ask her name. And that is when another bit of magic happened: The girl tells me in English her name is Z-I-N-N-I-A. I tell her it is a type of flower. She defiantly says it is not. I Google the word and show her a picture of the flower. Her whole face lit up. She was so excited that her name meant she was a flower. There is nothing like that little girl look of happiness to make your heart melt. 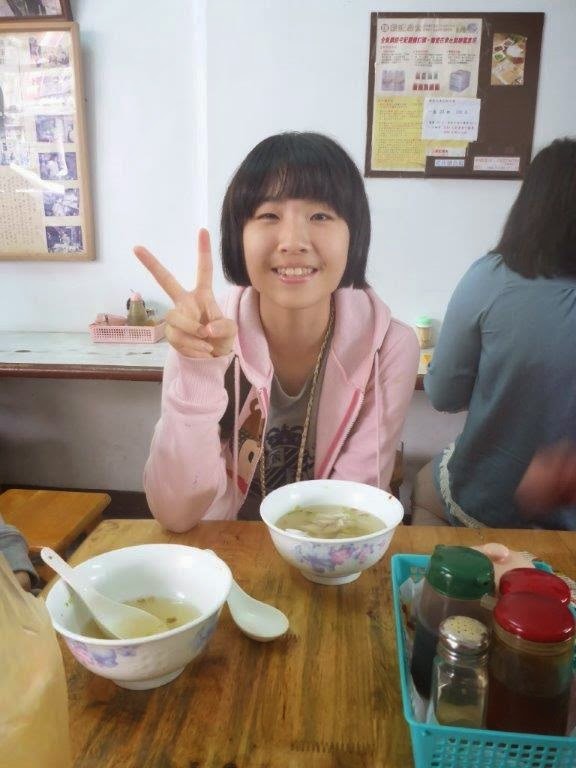 Well, her father abruptly said it was time for them to leave, I paid my approximately US$2.00 for my soup and I was off. The Kindness of Strangers - Part II. and then the local market. It was very busy with people and motorbikes in seemingly equal quantities passing through with everything from CDs to clothing to fresh fish and chickens to prepared foods being offered. I was just about at the end of the market (having, of course, walked down most every back alley I could) and with about eight stalls left thought about turning around. Then I said to myself, “If I don’t go all the way to the end I am sure to miss something.” And miss something I most certainly would have! There was a small stall where this wonderfully rich beefy smell emanated. I looked into the pots, noticing small piles of different types of fresh noodles waiting to be cooked. A smiling woman came over and not knowing any English very nicely “instructed” me to sit down…so I did. 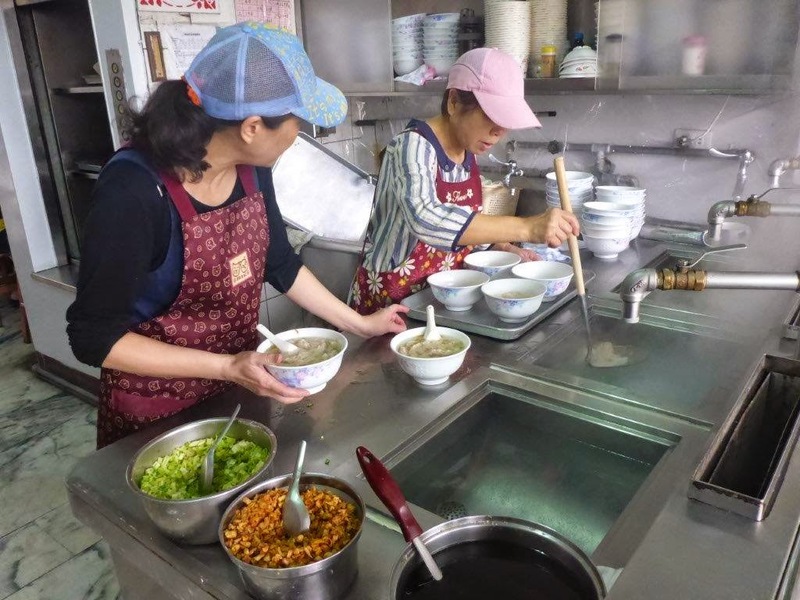 She then busily put some noodles into hot water, added beef and broth and lots of good veggies into a huge bowl…and then the noodles…and put it in front of me. It was a bit of heaven in a bowl! 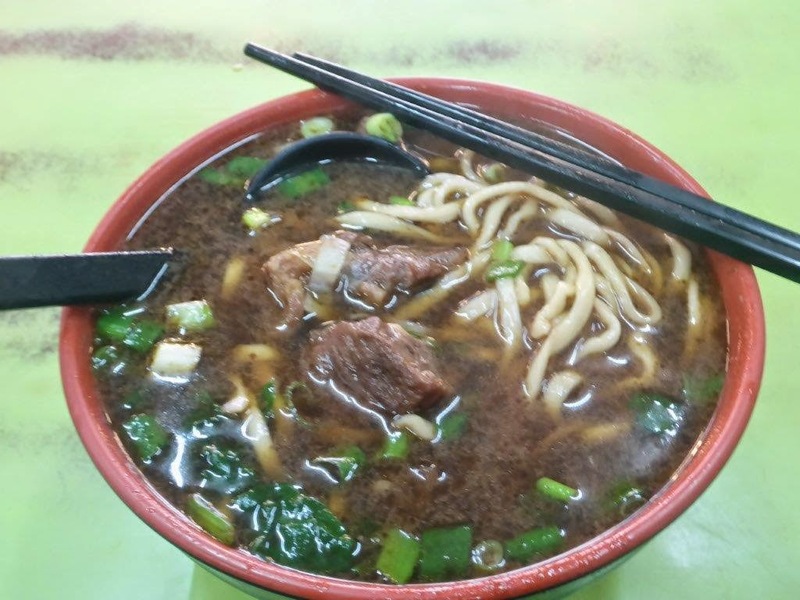 The Best Beef Noodle Soup Ever! When I returned to the ship I heard quite a number of people stating the $192 per person tour to the gorge was OK, but nothing special. It was not the first time on this Azamara Club Cruise that I heard this. In fact, I have heard such comments on pretty much every cruise I have been on. While I appreciate most people are afraid of the ship leaving without them, of getting lost, of having a bit of a bad stomach from eating local foods, etc., I cannot help but be a bit frustrated. On this Azamara Quest cruise the folks I have spoken with (i.e. the “travelers”) have been all over the world, but for many they don’t have the courage or perspective to just get out there and talk to the locals…even if you can’t speak their language. As I mentioned, early on in this cruise the ship’s tours were sort of mandatory, but now they clearly are not. And I shudder to think that nine hours on a bus tour has the ability to enrich the soul and mind as much as my hour in a bar or 20 minutes in each of the soup restaurants. When you are on a cruise with a great itinerary, remember it is not all about the ship but what the cruise has to offer...and that is the ability to visit places you might otherwise never visit. 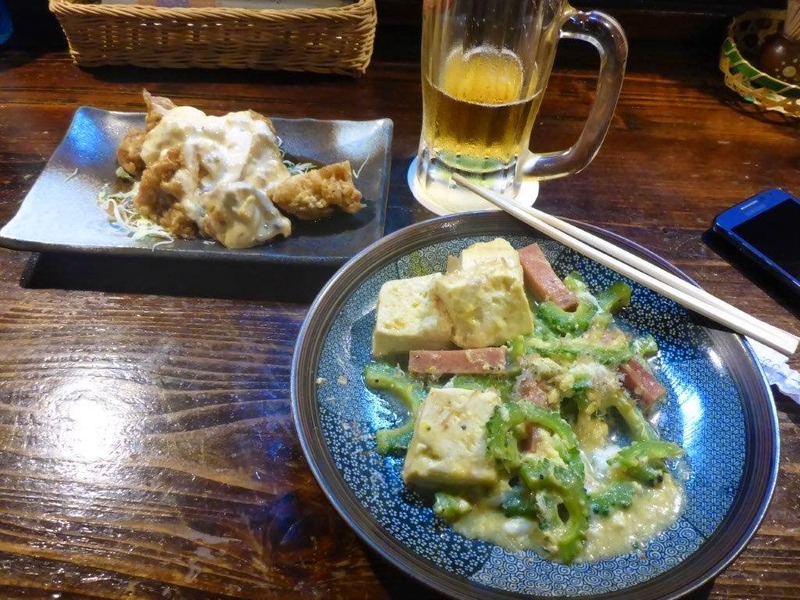 (Ever think about flying to Okinawa? Didn't think so.) Take a breathe and jump in! Interested in an Azamara Club Cruise or any other holiday? Drop me an email at eric@goldringtravel.com or call me at (877) 2GO-LUXURY.